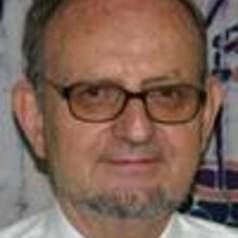 Jean-Pierre Guengant, is Emeritus Director of Research at the Institut de Recherche pour le Développement (IRD). He holds a Ph.D. in development economics and a Masters in demography. Dr. Jean-Pierre Guengant has over 40 years of experience researching demographic behaviour, and managing research institutions. He worked many years in the Caribbean and in Africa. He was the resident representative of IRD in Niger and Benin, then Burkina Faso and Côte d’Ivoire from 1997 to 2009. From October to December 2011, he held the post of Deputy Director of the United Nations Population Division in New York contributing to the production of a report on youth and adolescents in the world. Between 2010 and 2015 he coordinated a series of monographs on 12 West African countries, Chad, Côte d’Ivoire, the Democratic Republic of the Congo entitled “How to Capitalize on the Demographic Dividend,”. In 2016, he completed a similar study for Burundi. He is currently associated with The University of Paris I Sorbonne. Jean-Pierre Guengant was selected by the newspaper Le Monde in its special edition: “2010 Report”, published in January 2011, among 40 scientists and actors who made the news in 2010, for his work and engagement in the field of population in Africa.